I made a couple of log cabin blocks to check colors and placement, so it can become a leader/ender project. These are the first five blocks, laid out in the start of a barn raising. 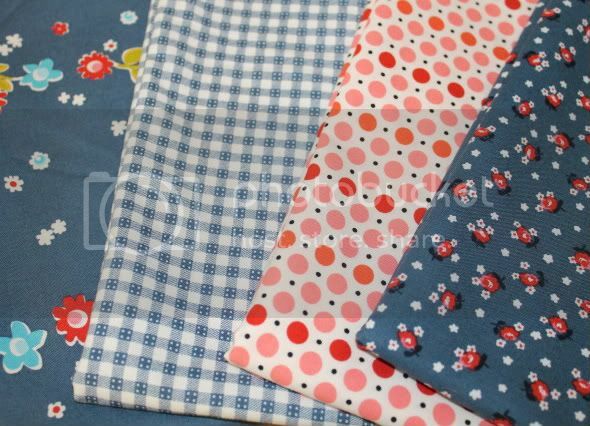 I have another blue - the gingham in the picture below - I could use (and reuse the red from the center), but I think it might be too light for the blue side. The blue to the left will be used as a border since the print is too large, even with chunky 2" logs. 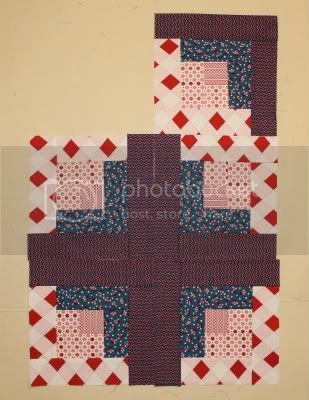 And now I really need to stop playing with them and get back to quilting the Christmas Kaleidoscope.